The temperature at which one should cook frozen French fries is dependent on a number of factors. 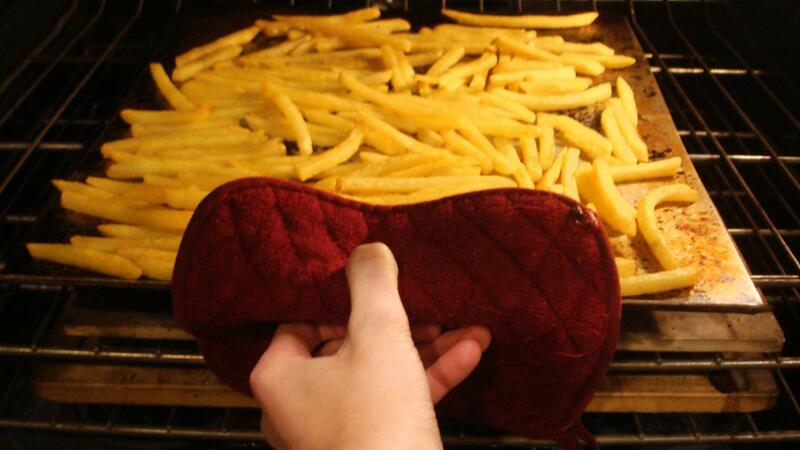 In addition to the instructions provided by the maker of the specific product, the temperature of the oven, quantity of fries cooked, consistency of the fries and the variant of the actual product are factors to consider. However, a leading maker of frozen French fries, Ore-Ida, recommends that people cook their fries at 450 degrees Fahrenheit for an ideal consistency and taste. French fries, as a popular food, come in a variety of different shapes and sizes. They are quite a versatile food, and the temperature and consistency at which people cook and later enjoy their frozen fries is entirely their choice. How Do You Calculate Cooking Time for a Lamb Roast? Can You Cook Whole Frozen Salmon? How Do I Cook Frozen Hot Dogs? How Long Should You Cook a Whole Turkey in the Oven? How Do You Decide Whether to Use a Food Processor Vs. a Blender? How Do You Make Brownies From Scratch? How Long Do You Bake Lasagna? How Do You Cook London Broil on a Grill? What Is an Easy Way to Cook Beef Tenderloin? How Long Should Baked Ham Cook?